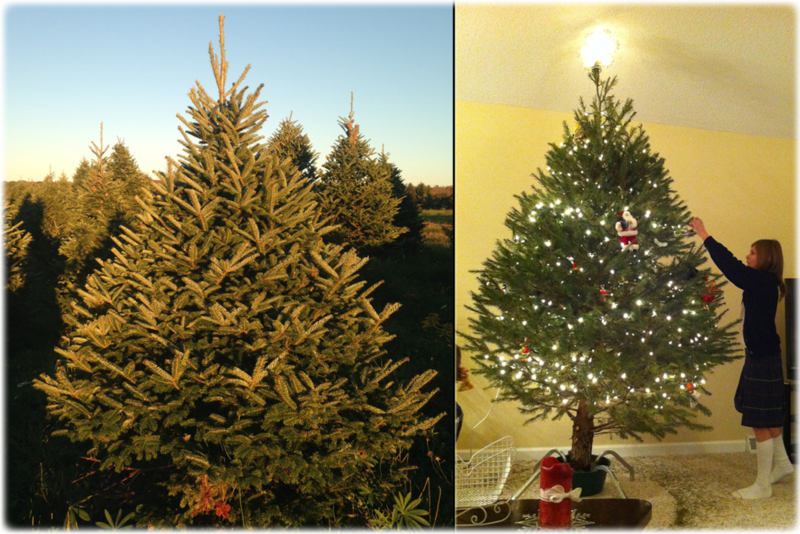 Answer: First, you decide between a CUT-YOUR-OWN tree or one of our PRE-CUT trees. If you wish to cut your own, then bundle up your family (boots, warm hat, and gloves for everyone! ), bring a sled or wagon for the kids, a camera, the dog, a saw if you have one, and go out in our fields and find the perfect tree for you and your family! Chop it down and drag to our gate. We have wagon rides on the weekends at our Strickler Road location which brings you and your family into our fields and brings you back with your tree! Your Christmas tradition with the whole family starts with us. OR, you can select from any of our premium PRE-CUTS, where we do all the fun stuff for you! Can I borrow a saw? Where can I find a certain kind of tree? Answer: Check out our Christmas Tree page to see the types Christmas Trees we carry and at which of our 3 locations your tree is available. How are the trees priced? Answer: All CUT-YOUR-OWN Christmas trees are priced by size starting at $49.99 + tax. Our premium PRE-CUT trees that come from our farm in Franklinville, New York have been priced according to size & grade of Christmas Tree starting at $23.99 + tax. Do you have any large trees? Answer: We have CUT-YOUR-OWN trees up to 12' and our PRE-CUTS up to 14'. Contact Us to Pre-Order Your BIG CHRISTMAS TREE or Set Up an Appointment. We're happy to assist you in finding your big Christmas Tree! Answer: Yes, arrangements may be made for Christmas Tree delivery. Just Contact Us for scheduling. Answer: Yes, we have plenty of rope to help you get your Christmas tree home securely. Answer: Yes, we bale all of our trees at no extra cost to you! Do I put anything in the Christmas Tree water to help preserve the tree live longer? Answer: Yes. We highly recommend using Tree Nutrient available at our locations. I am unable to handle a tree by myself, can someone help me? Answer: Yes! One of our friendly employees will gladly assist you! Why Buy A Jurek Tree? You are buying direct from your local grower offering the highest quality & Lowest Prices! Our trees come from Franklinville, NY, not from out of state. One acre of Christmas trees produces oxygen for eighteen people daily! Avoid putting tree directly in front of a heater.